Provide more choices with colorful pattern, perfect for your home, office also living room, dining room, kitchen, Bedroom, entrance, hallway. It can use as the beby crawling mat, attract the attention of your child, bring them endless fun. Develop baby's skills such as rolling over, sitting up and crawling, perfect play mat for the beginning crawler. Feature: exquisite covered edge, environmental bottom, modern geometric design, breathable etc. 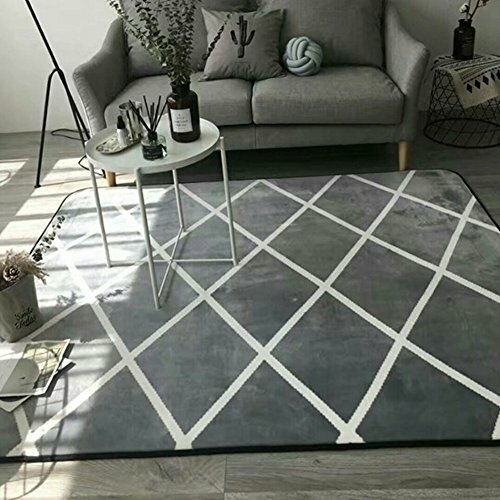 Non-slip design: New anti-slip pad design with natural latex parts at the bottom, prevents the rug sliding in all kinds of conditions. At the same time, thick velvet surface keeps your feet warm in winter. Wash in cold water, recommend hand wash, accept machine washable if your washing machine is big enough. With storage bag, easy to store at home or carry out during travel, protect your baby's tender skin anytime and anywhere. If you have any questions about this product by Cusphorn, contact us by completing and submitting the form below. If you are looking for a specif part number, please include it with your message.